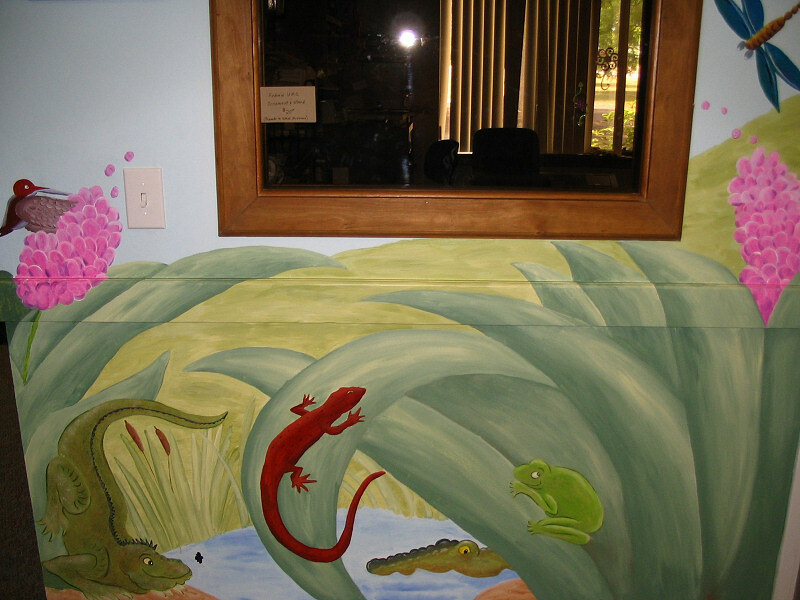 Spend a few minutes wandering through our halls in the Children’s Wing at Andrew UMC and you will see that we care a great deal about children. 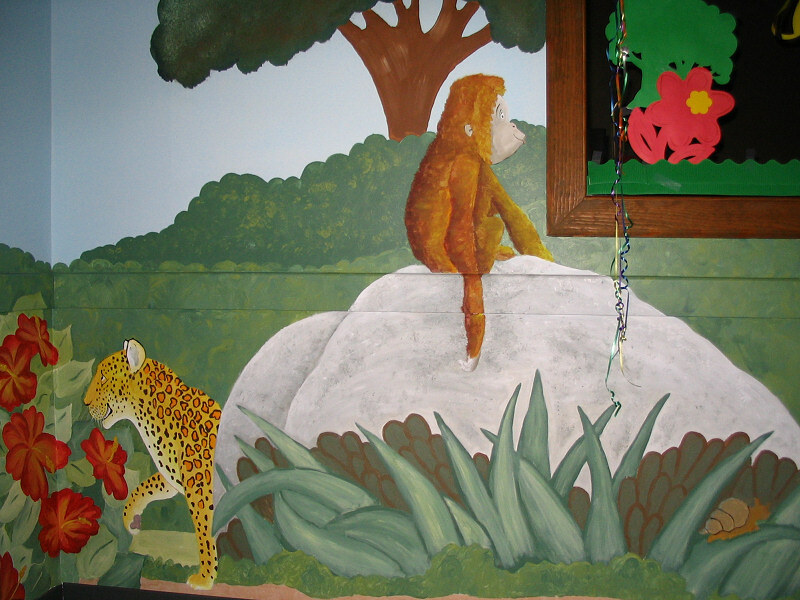 An inspired team of “homegrown” artists spent three months painting our main hallway to depict the Garden of Eden. 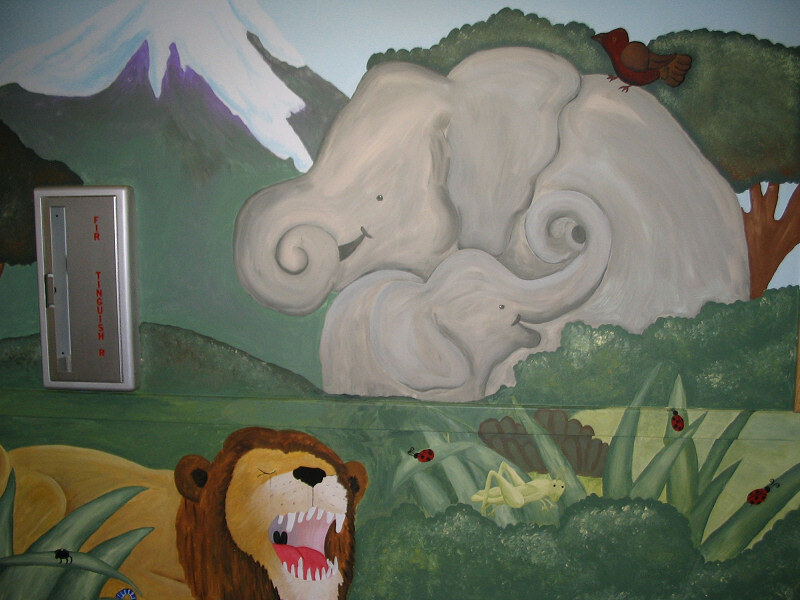 Our teachers spend their time each Sunday and Wednesday telling the children the stories from the Bible, so our artists thought there was no better place to start than “In the Beginning” with our walls. Andrew believes that each child is a gift from God! Our teachers strive to encourage our children, from the youngest to the oldest, to “follow God,” as we each work to follow Him ourselves. We ask all of our teachers to not only teach our children, but regularly attend church themselves so that their own lives will be “full of God’s love.” We believe it is impossible to teach our children if we are not being taught ourselves. We have a Children’s Church program for Kindergarten through third grade at our 10:00 a.m. service. Children stay with their parents for the music in “Big Church” and then leave for an “age-appropriate lesson” during the sermon. 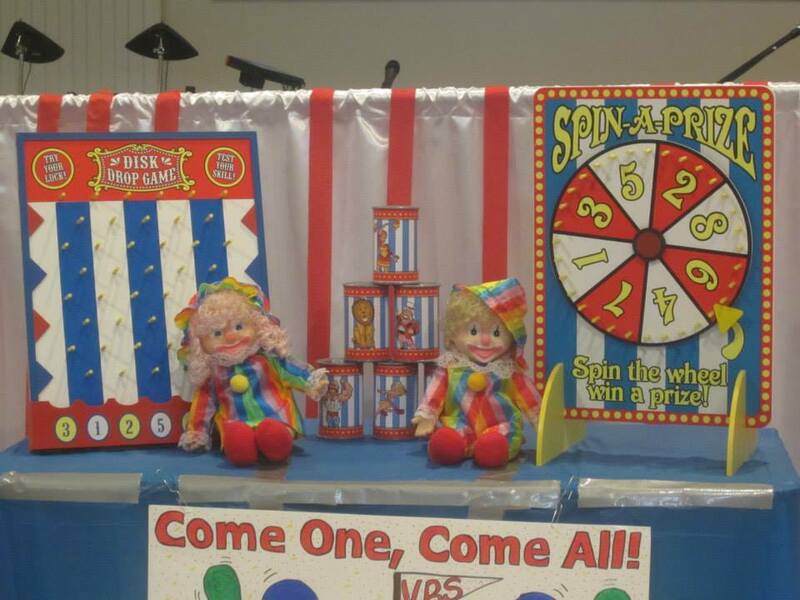 This program uses puppets, story books, songs, and coloring activities to teach Bible stories and memory verses. Sunday School is offered at 9:00 a.m. each Sunday for all age groups. Classes meet in various classrooms according to age groups. 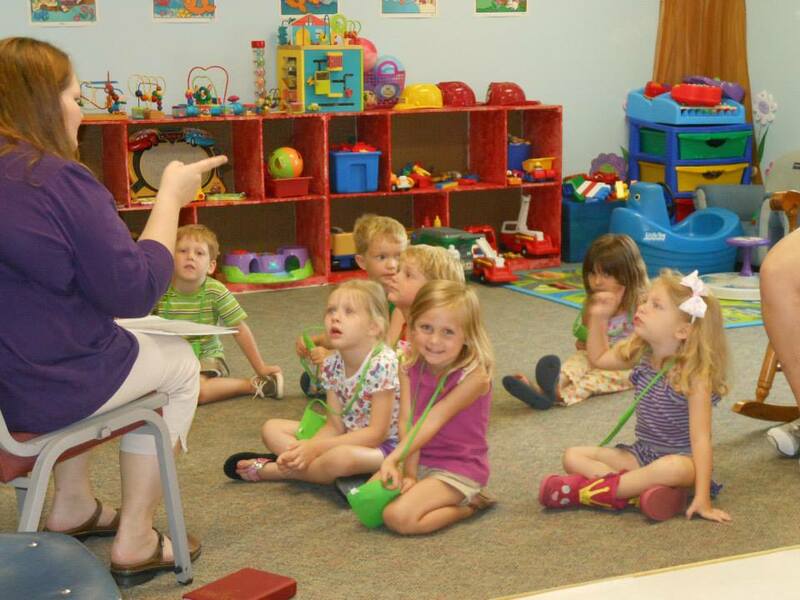 The 3-4 year olds meet in their nursery room, Kindergarten-2nd and 3rd-5th meet in the education wing. 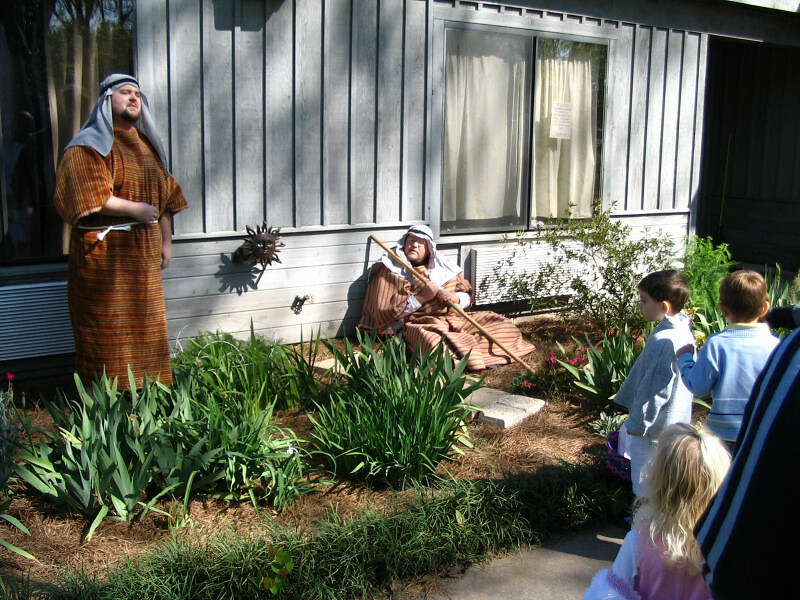 Each group uses a Cokesbury United Methodist Church curriculum. 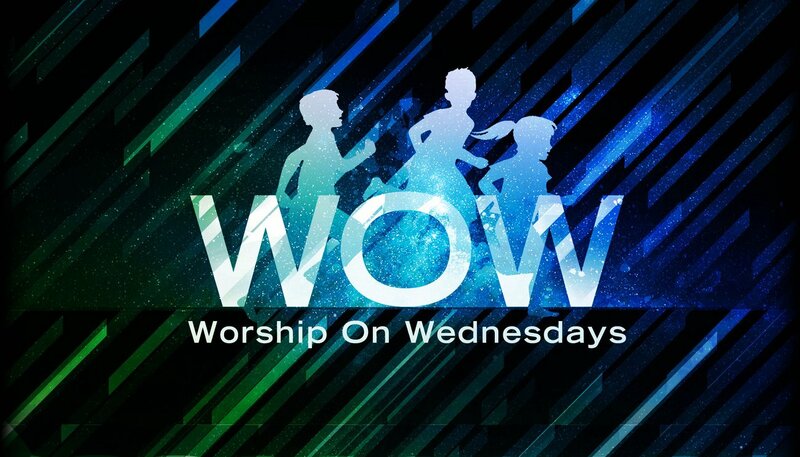 WOW (Worship on Wednesday) is for all children in grades K through 5th. We meet every Wednesday from 6:30pm-8:30pm. During this time the children are taught short lessons. Each lesson may have a Bible story, skit, music and craft, that all tie together so that there is more than just one way of learning a story. Kids are also encouraged to bring their Bible and friends. 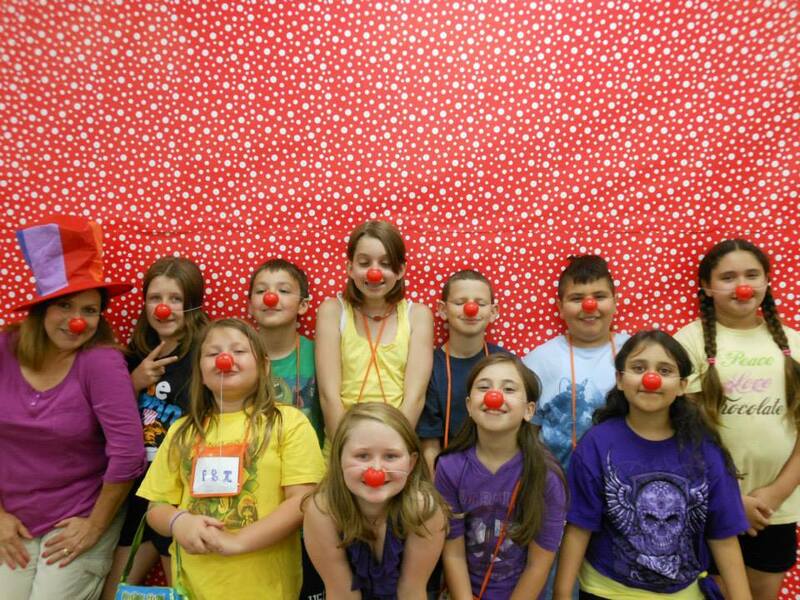 Once a year, our adults pool their efforts to provide a week of fun and learning for our children. Structured around a central theme, children are able to attend special services each night. Here they experience God’s love, play and learn together, and enjoy the wonderful fellowship that only the body of Christ can provide. 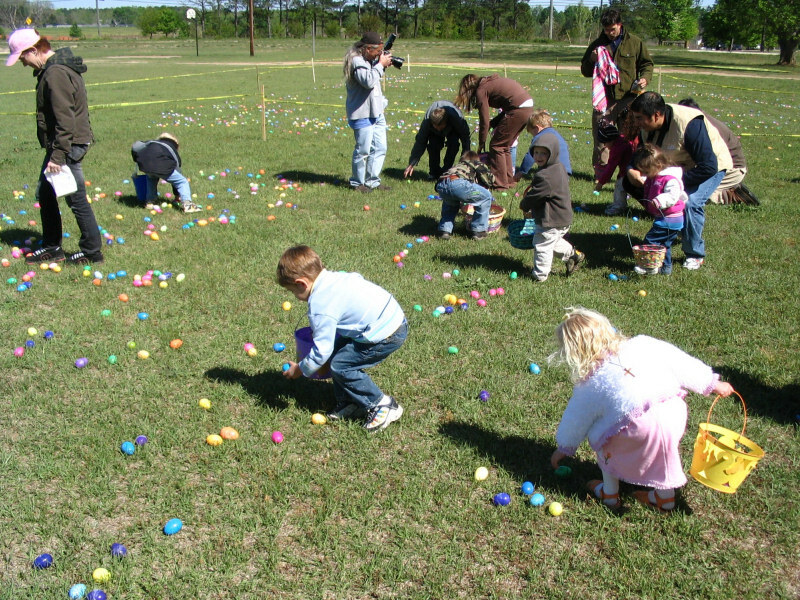 Each year at Easter, our children are treated to an Easter Egg Hunt that includes over 2500 Easter Eggs. Last year, we revisited our famous “Walk to Jerusalem” as well. The children are led from one disciple to another as they hear the Easter story told and receive “tokens” of their visits at each stop. The “big finale” was our yearly Easter Egg Hunt and church cook-out. This event is always open to the community and we invite anyone to come and join us for the fun and celebration.